Rewrite The Rules of Photography Brighter, wider and closer. See the world from new perspectives. Discover the unseen surprises and turn them into your treasured memories. 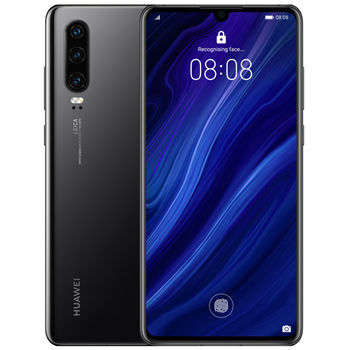 The HUAWEI P30 is pushing the envelope of smartphone photography. 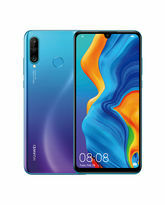 A Delight of Colour Drawing inspiration from the miraculous sky, the HUAWEI P30 mirrors the transfixing colour of light and space. Witness the beauty of a rosy dawn, mid-day sky, the mysterious Aurora and darkness of night. Super Camera System Dare to Impress The Leica Triple Camera System accommodates your photography to help see the world in its entirety. This super camera system with a 40 MP Super Sensing Camera, a 16 MP Ultra Wide Angle Lens, and an 8 MP telephoto lens, gives you the freedom to capture the treasure and beauty of the world. The Light Evolution The colour sensing rule has been rewritten by HUAWEI from RGGB to RYYB for more light in all your images. 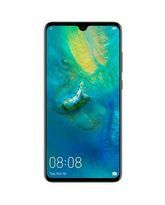 The established cooperation among the HUAWEI SuperSpectrum sensor which contributes 40% increased light,1 ISP of Kirin 980 and the self-developed algorithm, provides a clear preservation of your memories during the day or night. See the Unseen in the Dark See the splendor hidden in the night with up to ISO 204,800 on the HUAWEI P30. 2 Even in extreme dark situations, you are able to capture beautiful moments like a romantic candlelight dinner or fireflies dancing in the bushes. 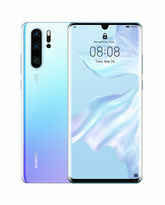 Reveal Your Radiance The 32MP front camera on the HUAWEI P30 will intelligently recognise you to produce expert selfies by contouring your face with accurate brightness and sharpness. Your selfies will glow with stunning detail, even in overexposed backlight or during a night party. 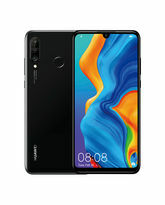 Iconic Visionary Design Magnificent Elegance The 6.1’’ OLED HUAWEI Dewdrop display3 is precisely designed to provide you a broader and better viewing experience with vibrant colours shining in every way. 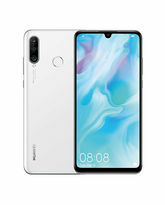 Intelligent Touch, Absolute Comfort Hold the HUAWEI P30 comfortably with one hand, while a more advanced in-screen fingerprint sensor swiftly unlocks it. The Duet of Power and Speed Leap Towards the Future The Kirin 980 is the world's first 7nm mobile process chipset with stronger performance and lower power consumption. 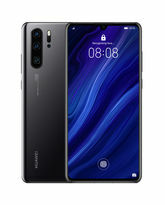 This innovative chipset plus up to 8GB of RAM and 128GB of memory storage,4 reveal a performance powerhouse in the HUAWEI P30. Refuel in Minutes Charging is no longer a hassle, but a painless task. Easily charge up your phone during breakfast or coffee break with the TÜV Safety Certified HUAWEI SuperCharge. 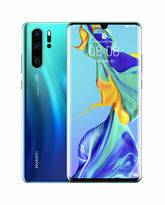 Share with OneHop A simple tap from your HUAWEI P30 to the MateBook can send pictures, videos and documents in seconds. And, by just shaking and touching your phone to the MateBook, you can begin recording a 60s video of the laptop screen that will save to your phone. You can also copy and paste texts between devices easily as if they are working as one.